Set on the beautiful 600-foot-wide falls on the Snake River, Idaho Falls is a charming city with a range of attractions for the whole family. Hikers and bikers can cruise the city along the Greenbelt, a paved trail that runs along the river and passes the city’s downtown, the market, and a waterfall. The Art Museum of Eastern Idaho presents works by renowned and new artists, local and national, while the Museum of Idaho celebrates local history and culture with eclectic exhibits such as an entire re-created 1800s town. Idaho Falls Zoo is one of the best small zoos in the country, with animals from six continents. 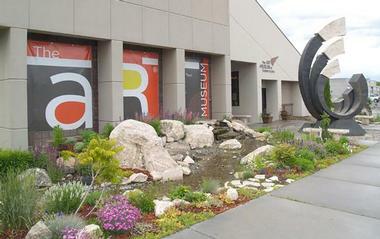 The Art Museum of Eastern Idaho was opened in 2002 to promote the visual arts through a range of innovative exhibits that focus on art education. The museum is located along the urban Greenbelt walkway that runs along the Snake River in Idaho Falls. It has five galleries, an art classroom and workshop area, a children's interactive art area, and a gift shop. Visitors are free to explore the museum on their own or join one of the tours, family days, studio classes, or art lectures. The museum’s exhibitions represent not only regionally, nationally, and internationally renowned artists, but also emerging local artists. It is the only art museum in eastern Idaho. The Collectors Corner Museum is a product of the collection passion of Jim and Nida Gyorfy. They just love to collect and have 125 different, very eclectic collections of collectibles of all sorts. They decided to share their passion and opened the museum in 2003. The museum is located in a former grocery store and it can go unnoticed unless you know where to look. Once inside, you will be delighted by the nicely arranged exhibits behind clear glass. There are Precious Moments figurines, coins, Ron Lee clowns, stuffed animals, hubcaps, commemorative plates, troll dolls, model planes, mechanical monkeys, and so much more. Not all of exhibits were made as collectibles, but Nida and Jim found them interesting and added them to their collection. Sometimes total strangers bring their own collections to share with the public. For older people, visiting the museum brings back childhood memories, with Pez candies and other familiar and now forgotten toys. Hell's Half Acre lava field is a lava plain located on the Snake River Plain, about 25 miles from Idaho Falls. This huge 2,000-year-old plain of hard lava flow is full of large open cracks, sharp jagged rocks, and other obstacles. The 68,760 acres of the site southeast of the National Natural Landmark has been declared a wilderness study area. The site is popular with hikers and there are two trails marked by flags: A short half-hour one and a longer one that requires a whole day and which leads to the central volcanic vent – a dark, low hill, about 700 feet long and almost 200 feet wide. This is the spot where the lava broke through the surface of the land thousands of years ago. About half way along the trail is a gazebo and a lovely scenic overlook. If you come in the spring, you will notice clumps of wild flowers, bright green lichens, and mosses, starkly contrasting with the dark volcanic rocks. The Idaho Brewing Company is well known all over Eastern Idaho for its delicious award-winning craft ales and lagers. Their tasting room is located on the banks of the scenic Snake River and is a popular spot with the locals and visitors to relax, enjoy the views, and taste some of many very different styles of beer. Besides the cozy indoor space, there is a large outdoor deck to sit in the fresh air and enjoy your brew. If you are lucky, there will also be live music. Those interested in the process of making beer can join the tour of the brewery. They currently brew 18 different styles of beer with their ten-barrel brew system. The Idaho Falls Chukars is a popular Idaho Falls professional baseball club. The Chukars are members of Minor League Baseball and are affiliate of the Kansas City Royals. 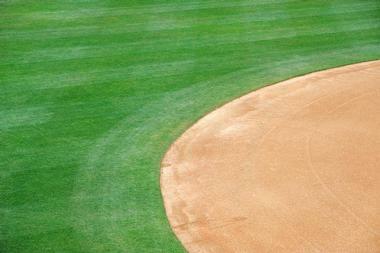 They play all their home games at the 3,400-seat Melaleuca Field. The surface is natural Kentucky bluegrass and is 350 feet to left field, 390 feet to center field, and 340 feet to right field. The team also plays in the Pioneer League, which operates from June to September and is designated a Rookie Advanced League. The Chukars are East Idaho’s only professional sports team and they are proud of their large and loyal fan base. For a small zoo, Idaho Falls Zoo has an incredible diversity of animals. More than 330 animals belonging to 120 species from all over the world live in spacious, natural enclosures. The zoo, which is considered one of the best small zoos in the country, is part of the popular, large Tautphaus Park, one of the largest and oldest in Idaho Falls. There are 28 African species, including penguins, zebras, lions, and lemurs. Snow leopards, sloth bears, and red-crowned cranes come from Asia, while pelicans, otters, and golden eagles represent North America and kookaburra, singing dogs, and wallabies can be found in the section on Australia. There is also a children’s zoo with sheep, pigs, and goats that kids can feed and pet. The Japanese city of Tokai-Mura is a sister city to Idaho Falls. To celebrate this friendship, the city built the Japanese Friendship Garden on a small island in the middle of the Snake River near Broadway Bridge. There is a footbridge that provides access to the island from both sides of the river. A few decades ago, Tokai-Mura donated to Idaho Falls a large traditional stone lantern, which was placed in the Friendship Garden. It was the beginning of a community project that had the goal of creating a Japanese pavilion. Clarke Kido started landscaping the area near the lantern, and was joined later by Judy Sydel and Mike Zaladonis and many other volunteers. They planted bushes and trees, built a path and a deck, and slowly built a beautiful pavilion in the true Japanese tradition. The pavilion was officially opened to the public in 2016 and is today a wonderful, peaceful oasis, reflecting Japanese gardening and building esthetics and celebrating the friendship between the two cities. The Museum of Idaho is a great place to learn about Idaho’s history and culture, but the story of the museum’s creation is interesting in its own right. The building in which the museum is housed started its life as a public library, built in 1898 by the Village Improvement Society with the help of the Carnegie Foundation. The Improvement Society was run by a group of local women who wanted to bring culture to then dusty, wild, little town. When the library moved to a new location, they collected funds to renovate the dilapidated building and turn it into a museum. The exhibits that can be seen in the museum today were collected by the society members and today reflect Idaho’s history and way of life with exhibitions such as the Olde-Fashioned Christmas and Winter Festival, Space: A Journey to Our Future, and many others. Reed's Dairy has been providing milk, cheese, and other dairy products to Idaho Falls and the area since 1955. This 260-cow producer and handler has a processing facility that bottles non-fat and whole milk in half-gallon returnable plastic and glass bottles as well as less environmentally friendly plastic bottles sold in grocery stores. Their milk and milk products are free of artificial additives and growth hormones, so their customers get only the best, fresh milk. Local families like to come to the farm, visit the cows, and stock up on ice cream. Kids love playing with the baby calves. You can find all sorts of delicious Reed’s ice creams in their store on Broadway in Idaho Falls, all made the old-fashioned way with nothing added but milk, sugar, fruits, and other delights such as chocolate and peanuts. The Idaho Falls Greenbelt is a great way to explore Idaho Falls. 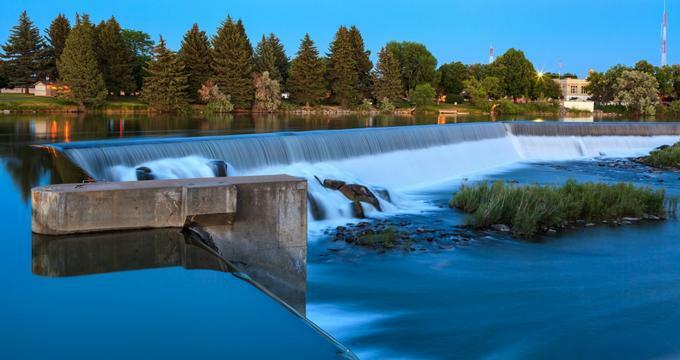 This joint project between Idaho Falls and the local resident volunteers covers 5 miles along the Snake River and it can be enjoyed by hikers and bikers. The paved trail passes by many local restaurants, shops, and the famous 600-foot-wide waterfall, runs along the farmers’ market and beautiful local private gardens, and provides access to the Idaho Falls Disc Golf Course. In the summer, the city extends the path with a floating bridge to run under Hwy 20, connecting it with the Freeman Park. The Greenbelt is used for the annual Great Snake River Duck Race, organized by the Idaho Falls Rotary Club. 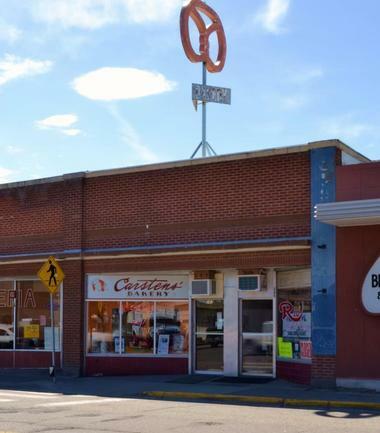 Carstens' Bakery has been supplying Idaho Falls’ folks with delicious sweet delights since 1968. It is owned and operated by Willi and Shannon Carstens. Will was trained by German master bakers and the European influence is apparent in his famous delicious Danish pastries filled with cheese, fruits, and much more. There are also doughnuts, fruit bars, pies, cookies, and all kinds of special cakes for birthdays, weddings, and other celebrations. Everything is made fresh every day, so come early or they might run out of your favorite goodies. If you need cakes for a party, call a day in advance. The Villa Coffeehouse and Cafe in downtown Idaho Falls is where locals hang out to get their favorite cup of java, relax, check their emails, or meet friends. They serve a large range of coffee drinks, classic or fancy, all freshly roasted by another local business, where they create an original house blend for Villa Coffeehouse. The atmosphere is relaxed and cozy, with high ceilings, comfy sofas, and a large bar. 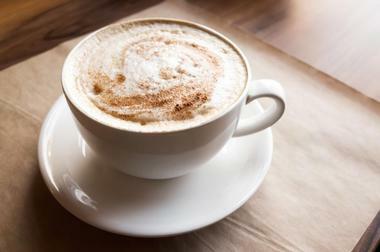 You can get a dessert to go with your coffee from their large menu – everything is freshly made from scratch. For lunch, there are always hot soups and imaginative sandwiches. No wonder people come and stay a while. There are many ways of exploring Idaho. One of them is on the back of a llama. Not just any llama, but llamas specially bred and trained to carry people and their load on different mountain adventures, exactly as on a horse or a mule. Wilderness Ridge Trail Llamas breed pack llamas for rent and for other companies that wish to use them for adventures. They are based in Idaho Falls and everyone who would like to try riding a llama on an adventure has to go through a 45-minute orientation. You learn about llamas, what to expect from them, how to manage them and lead them, how and what to feed them, and about their gear. 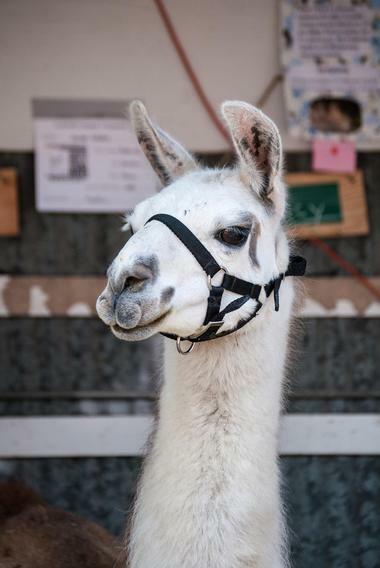 You can also just come to the llama ranch and pet llamas; they are such charismatic animals.